The F3 Financial Accounting gives ACCA students their first look at financial reporting, ratio analysis and also some basic consolidated accounting. The idea of the Financial Accounting paper is develop and understand the underlying principles, concepts and regulations relating to financial accounting and double entry bookkeeping. Technical articles on F3: Financial Accounting can be found here. Self-study guides for the F3: Financial Accounting paper can be found here. Printable ACCA study texts from Astranti for the F3 paper can be found here. Astranti offer their members free copies of ALL ACCA study texts and you can pickup your copy of the F3 study text here. The ACCA offer some free mock exams or specimen papers that will give you the feel of what to expect on exam day. Please see the links below for a collection of F3 mock exams. F3 Specimen Papers: from the ACCA. 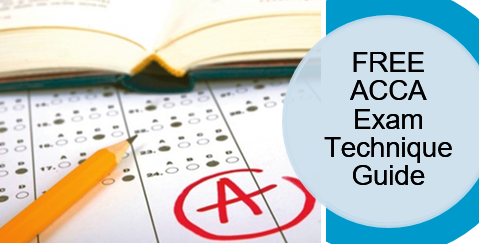 Computer based practice tests: from the ACCA. Achieving the 50% pass mark needed for the F3 Financial Accounting paper can be a tricky task, but if you have the right preparation and enough exam practice then passing the exam is well within reach. There is also an excellent video here from the ACCA that is part of their examiner interview series on the examiners recommendation on how to approach the F3 paper.